A polished red jasper gemstone worrystone. 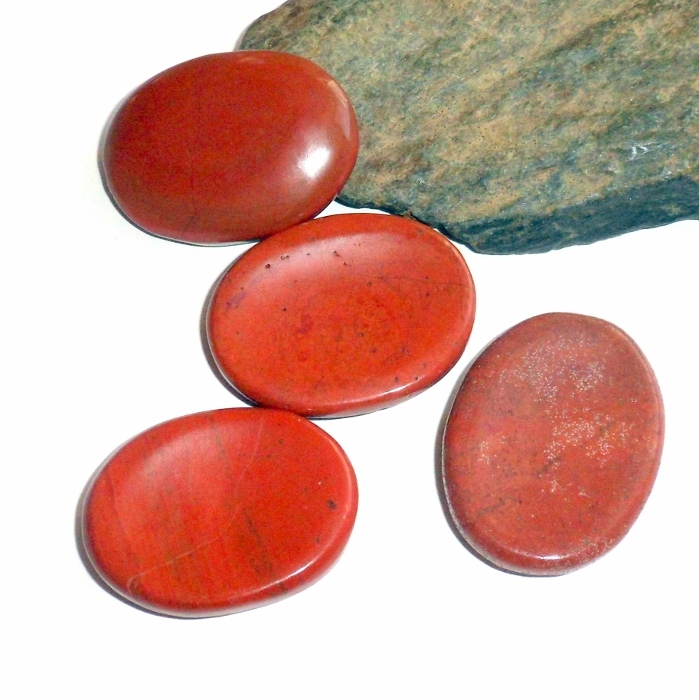 Red jasper is a March birthstone associated with the sacral and root chakras. It is a stone of fairness and justice that enhances responsibility, choice, and compassion. 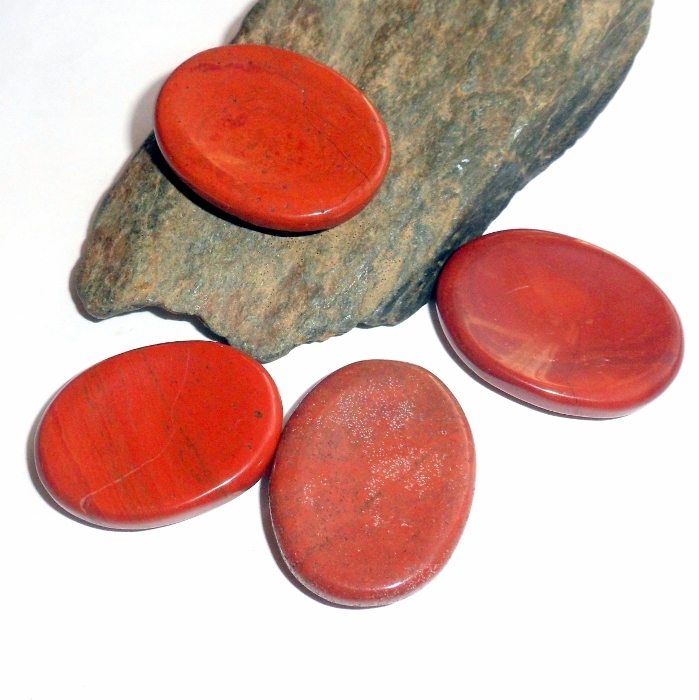 Red jasper has a stabilizing and balancing energy and is a protective gemstone. 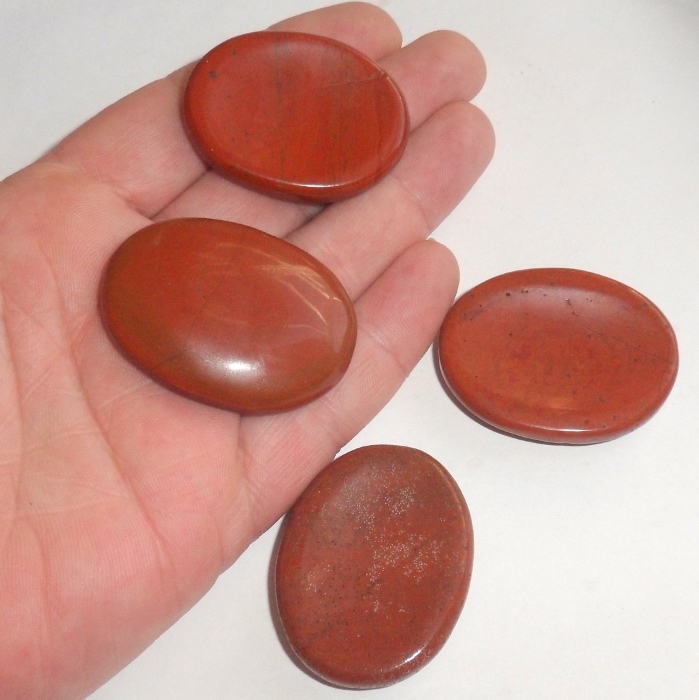 Red jasper helps control passion. Worrystones are approximately 1 1/2 inch by 1 inch. Price is for one red jasper worrystone.